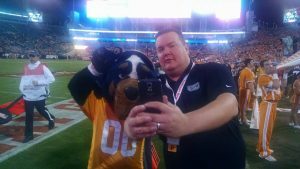 Next Tuesday the Iowa football team will take the field at Raymond James Stadium and I’ll be there, as I have for the previous 15 bowl games Kirk Ferentz has guided the Hawks to. That’s 15 years worth of stories and 15 years worth of bowl gifts ranging in quality and usefulness. Which got me thinking the other day – always a dangerous proposition – as to how I’d rank these games from best to worst. Here’s what you need to know. This is my ranking and, like most lists, it’s arbitrary. How Iowa performed in the game isn’t ancillary here. I don’t really care whether the Hawks win or lose. What I value is the experience at said bowl game and whether or not I got something free and useful from the game. Stuff you don’t care about. Summary: Nothing about this trip stands out. Nothing. I got to visit the Alamo, something I didn’t do in 2001 when Iowa played Texas Tech. Did the Hawks win? Nope. Iowa lost to Texas. It was a harbinger of things to come the following season as Iowa would miss out on a bowl game all together. Summary: Cold and costly. New York City and the venue were unique but this is one of a handful of games I never want to cover again. Bowl Gift: Stocking cap and scarf, which proved useful in an open-air press box. Did the Hawks win? Yes. They out-skated Boston College to snap a five-game bowl skid. Not quite Smokey and the Bandit. Summary: I made the final table at a daily poker tournament during a day off and won some money. The media hotel was nice and my room was on the same floor as the sauna, which came in handy. There was a great Italian place a couple of blocks away that we ate at a few times but Jacksonville was sprawling and the Jaguars’ stadium, where the game was played, wasn’t in the greatest shape. Bowl Gift: Don’t recall. Jacksonville has largely been blocked from my memory. Did the Hawks win? They got embarrassed by a young Tennessee team that everyone thought was up-and-coming. Spoiler alert: They weren’t. This is the game that led Ferentz to release a post-bowl depth chart that helped push Jake Rudock out the door and usher in the C. J. Beathard era. 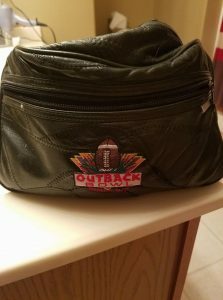 Summary: I thought this may be the last time I’d be at an Outback Bowl. I was wrong. We met “Shades” at the horse track during some down time and I met Dwight Smith – who should have been MVP of Super Bowl XXXVII – at a Waffle House late at night. Bowl Gift: A small football, which made a nice keepsake for my son. It’s on the shelf in his bedroom. Summary: Unseasonably cold and the media hotel was located in Ft. Lauderdale, not Miami. Bonus points for being a Marriott property. We were treated well but the setup wasn’t that great and the weather ruined a lot of folks’ time in southern Florida. Did the Hawks win? Arguably the best bowl win of Ferentz’s tenure at Iowa. The Hawks beat Georgia Tech on the back of Norm Parker’s defensive wizardry, which he displayed for us during a news conference using Coke bottles and orange juice containers. Summary: Everything about this trip was miserable. The media hotel was sold out because the block of rooms wasn’t large enough to accommodate Iowa and LSU media. There was no hospitality room to speak of. The kicker was the meal served in the press box on game day. When one person thinks it’s meatloaf and another thinks it’s steak, that’s all you need to know. The area around the Citrus Bowl is sketchy but that didn’t stop one media member from rolling down his window at a red light and giving his bowl gift away to a random stranger wearing a Scarface shirt. Bowl Gift: An oversized carry-on bag with the bowl logo embroidered on it. And yes, Pacino, that is real leather. Did the Hawks win? In memorable fashion. Summary: My one career goal was to cover a Rose Bowl. I got to do it in 2015 but karma is a funny thing. My godson was sick at Christmas and so the entire time I spent in LA I was healthy about two hours total. Still, Rose Bowl. My pal, Jay Christensen, took my photo in front of the stadium and I got to spend some quality time with another buddy, Bob Brooks. Bowl Gift: A Nike dri-fit shirt and a cooler. 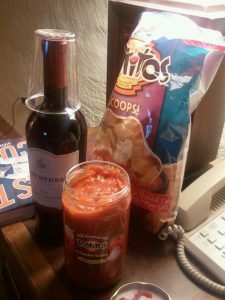 Summary: I love everything about the Insight Bowl, now the Cheez-It Bowl, other than the late kick-off. The media hotel was a J. W. Marriott property and the hospitality there was amazing. 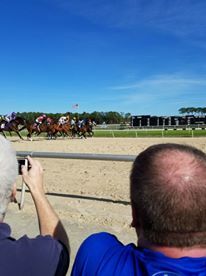 Phoenix is a great place to visit and Rob Howe and I managed to make some money at the horse track on a day off. WWE legend Jim Ross was on OU’s sideline but unlike someone who shall not be named, I resisted the urge to take a selfie with him. Did the Hawks win? Bob Stoops bested his old pal in an awkward meeting. Neither wanted to play the other and the rehashing of the old Stoops-Ferentz stories from 1998 got tiring. Summary: At this point we were regulars at the Outback Bowl. Think Henry Hill when he takes his not-yet-wife to the Copacabana. Upon further review, maybe this game is too high on the list. I took a bunch of Daily Iowan kids under my wing that week and treated them to the true Tampa experience. We had fun. Did the Hawks win? Negative. Not among my most treasured possessions. Summary: There’s a Pat Harty story here. It involves Tampa’s version of Monopoly money and repaying a debt. I also was gifted an entire box of cigars, similar to the one given to Ferentz and Urban Meyer by the bowl. It pays to have connections. 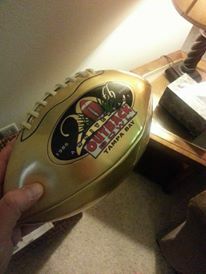 Bowl Gift: A gold football commemorating the 20th anniversary of the Outback Bowl. Did the Hawks win? We’ll never know if they could have. Summary: College kids. First bowl trip. Hotel security. Broken Christmas trees. Not sure the statue of limitations has run out on this one yet. That said, you always remember your first and this one is up there for me. Bowl Gift: A pen. I’m not kidding. A pen. Did the Hawks win? Yes, on the leg of Nate Kaeding. Iowa beat a Texas Tech team led by Mike Leach and quarterbacked by Kliff Kingsbury. Wes Welker played for the Red Raiders that season as well. Summary: Great weather. Good times. Knew Tampa like the back of my hand at this point. Pretty sure this is the Outback Bowl trip where I feared for my life at the previously mentioned Waffle House. There was an A. J. Pierzynski sighting at this game as well. Bowl Gift: Nope, this was the year with the glassware. Pretty sure of it. Did the Hawks win? Yes, Iowa beat a South Carolina team that could not have been any less interested in playing in Tampa that season. Summary: Other than the Outback, no one does hospitality better than what used to be the Insight Bowl. Same hotel property as No. 8 on this list. A fleet of shuttles that would take you anywhere you wanted to go free of charge. A private chalet stocked with all the Tostitos you could eat and plenty of beverages. Oh, and the media room doubled as a game room complete with arcade games. It was like our own Chuck E. Cheeses, minus the pizza and the Pizza Time Players (or whatever they were called). However, this game was truly memorable for what happened after it was over. Did the Hawks win? They beat a Top 15 Missouri team led by Blaine Gabbert. 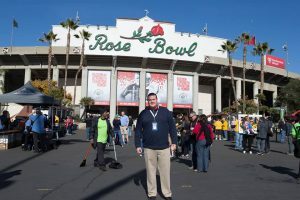 It served as a springboard…into another Insight Bowl trip the following year. Summary: My first trip to Tampa. My first meeting with John James. What’s not to love? Bowl Gift: A leather shaving kit bag. It’s still in great shape. Did the Hawks win? Yes, beating a Florida team coached by Ron Zook. Zook made a comment about Kaeding being a running back earlier in the week. That may have had something to do with it. Summary: Fun. Too much fun. Hotel right on Miami Beach. A little bar across the street called the Sand Bar that became out unofficial media hospitality hangout. I think it was open until three or four in the morning. I was 22 living the dream. Bowl Gift: A duffel bag. Also, still in use. Did the Hawks win? The first 30 seconds. After that, well, things kind of went down hill.